We aim to make provide an educational, fun and friendly atmosphere. Our space and facilities make it an ideal facility for gaining experience (both for horse and / or rider) in a welcoming environment. We have 5 sand arenas and plenty of space to park. The arenas not being used on the day can be used for ridden warm-up. ​-Please note that only Committee members are permitted to park near the clubhouse. a shady place to sit and converse over lunch, snacks or simply a tea or coffee. Numerous taps provide fresh water throughout the grounds. The Club provides two toilet facilities, one near the parking area and the other near the clubhouse. ​Free camping sites (unpowered) are readily available along the tree line next to the dressage areas. For access to cattle yards and other camping locations, please contact Bianca Wilson on 48 234 417 to book. 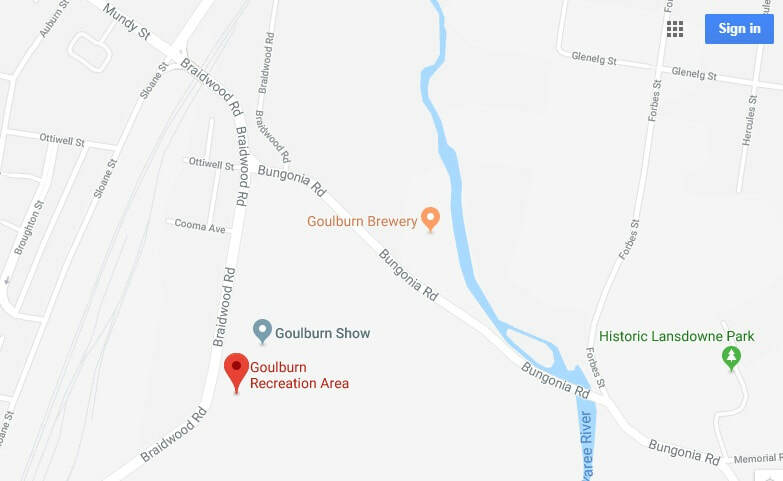 Goulburn Dressage Club holds its events at Goulburn Recreation Area. This is accessed off Bungonia Rd, through Gate 8. Please note that the bridge over Mulwaree River is not operational.